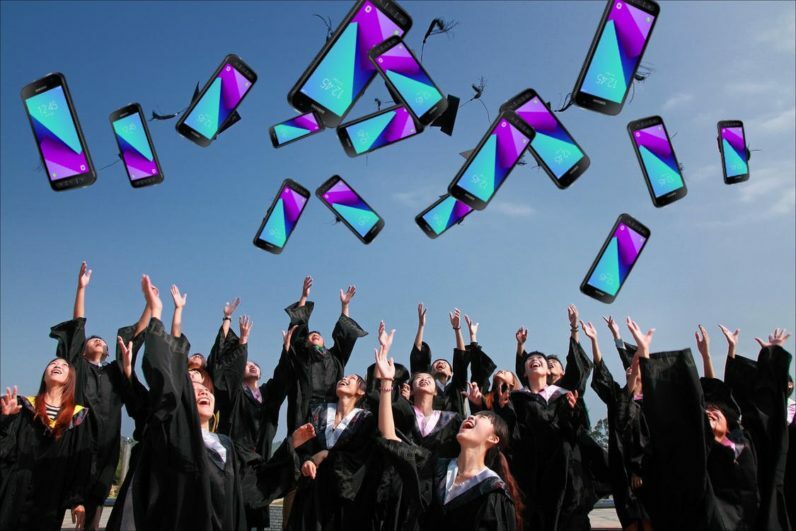 One thousand kids in the Dutch city of The Hague are getting a free smartphone courtesy of T-Mobile, Samsung, and the municipality. Since more and more services – announcements, class schedules, etc – at high schools are moving online, kids from low-income families who can’t afford smartphone are being left behind. The first 250 kids, who are starting high school next week, will be receiving their brand new smartphone from Dutch state secretary for education, Jetta Kleinsma. At the ceremony where the high schoolers get their new Samsung Xcover 4‘s, they’ll also be getting a probably very awkward lesson on why sexting is bad, safe use in traffic, and being financially responsible with the phones. All in all, this seems like a good initiative. In an increasingly digitalized world, it’s getting easier to be left behind if you or your family can’t afford an internet connection or smartphones – not only at schools, but also at banks, government services, and other essential parts of society.